Please note -- Advance registration is required and space is limited. and count toward SCEH Certification Programs. Hypnosis is a powerful, scientifically proven tool that allows medical and psychological providers to help patients and clients address a myriad of issues. Will this be the year you learn more about Clinical Hypnosis? Training Supported by Division 30 of the APA. SCEH is working with APA Division 30 to jointly promote these workshops and to grant their members a discounted registration price. SCEH Clinical Hypnosis Workshops are designed for:Psychologists; Physicians; Social Workers; Counselors; Dentists; Chiropractors; Master’s level Nurses, Clinical Nurse Practitioners and Health Care Coaches; other Master’s level licensed mental health and healthcare professionals, and clinical and experimental researchers in hypnosis. Any health care professional who is eligible for SCEH membership may register. Special student rates apply. View SCEH membership eligibility requirements here. Workshops are of the highest teaching quality and feature experiential learning so attendees can put learned concepts into immediate practice. SCEH workshops meet accepted Standards of Training in Clinical Hypnosis. The SCEH Midyear Fundamentals of Hypnosis Workshop fulfills all the requirements for basic training for certification by the Society for Clinical and Experimental Hypnosis. This Fundamentals training also fulfills 12.5 of 20 hours required at the basic level for certification by ASCH. Our hotel is located East of I-25 on the North side of Arapahoe Road between Lima & Peoria, making it easily accessible from all parts of the metro area and Denver airport. Hotel is located within walking distance of restaurants, shopping and entertainment. See detailed information about our hotel and how to secure a hotel room below. Event registration and workshops are on the lobby floor. All attendees must check in at the Conference Registration Desk. CE Packets will be distributed in the Workshop. 1:15 PM Workshops adjourn; Attendees drop off CE packets with SCEH Instructors before departure. BREAKS/COFFEE: On Friday, there are two 15-minute coffee breaks, one mid-morning, one in the afternoon.. On Saturday, there is one 15-minute mid-morning coffee break. See Workshop Schedule above. . MEALS: Meals are on your own, and are not included in your conference registration. There is a restaurant inside the hotel, and additional restaurants are within a 5-minute walk of the hotel. For hundreds of years, hypnosis has been a powerful tool that has allowed medical and psychological providers a means to assist their patients or clients. This course follows established Standards of Training to provide students with a basic background and understanding to begin using hypnosis within the context of their own scope of practice. In addition to reviewing a brief history of hypnosis, this course will introduce students to the steps to facilitate a hypnotic state along with various types of suggestions for positive therapeutic change. Emphasis will be placed on how to integrate these skills into clinical practice or apply to research models. This workshop will include live demonstrations, videos, PowerPoint lectures and supervised hands-on practice of hypnotic inductions, deepening techniques, suggestions and re-alerting. Each student will have the opportunity to hypnotize and to be hypnotized in the classroom setting. Identify three possible changes associated with hypnosis and memory. List the traditional "stages of hypnosis"
Differentiate when one might use a suggestive hypnotic approach and when an insight-oriented or exploratory hypnotic approach might be appropriate. This workshop will focus on teaching and practicing intermediate level hypnotic techniques including hypnotic inductions, methods of assessment, treatment methods, case conceptualization, and knowledge of current research/theory. The participants will learn how to utilize hypnotic assessment to choose methods of hypnotic induction, treatment methods, and case conceptualizations that are well suited for their clients unique hypnotic talents, psychophysiological style, and individual psychology. In particular, participants will learn to integrate mindfulness meditation into their hypnotic repertoire of skills for induction and treatment related goals. Emphasis will be on learning and discussing current associated research findings and theoretical perspectives that underlie clinical and experimental phenomena commonly encountered in hypnosis. Participants will practice hypnotic treatment methods that are used to help clients learn to cope with and/or transcend difficulties with PTSD, acute and chronic medical problems, and common psychological disorders such as depression and anxiety using post hypnotic suggestions and other hypnotic methods. Demonstrate an ability to use intermediate level hypnotic inductions. Demonstrate an ability to use mindfulness meditation as a hypnotic induction. Demonstrate an ability to teach mindfulness meditation and integrate it with hypnotic treatment. Demonstrate an ability to use intermediate hypnotic assessment methods. Analyze a case conceptualization protocol base upon hypnotic assessment data. Identify a treatment methods strategy based upon hypnotic assessment data. Demonstrate an ability to use intermediate level hypnotic self-hypnotic protocols. Compare and contrast two or more theories of hypnosis. Cite data that underlies two or more current theories of hypnosis. Explain the phenomenology of hypnosis as revealed by scientific investigations. Explain how a client’s spiritual tradition, ethnic/racial background, or other relevant factor could influence the way they understand and respond to hypnosis or other mind/body medicine approaches. Cite how post-hypnotic suggestions can be used to help clients with PTSD. Explain how hypnosis can be used to help clients with chronic medical conditions. In this advanced workshop, participants will learn about the evidence base for hypnotic relaxation therapy (HRT) and the role that hypnosis can play in effectively treating hot flashes, reducing anxiety and stress and improving sleep quality in adults. The presenter will review contemporary research and provide a mixture of didactic and clinical material. Clinical examples and experiential approaches will be used to illustrate methods clinicians can use to expand their clinical practice. Hypnotic relaxation therapy is a clinical method that utilizes hypnotic inductions, mental imagery, direct and indirect suggestions, and individualization to meet treatment goals. The concept of hypnotizability will be considered as it relates to clinical practice. Participants will develop increased knowledge and competency in: 1) understanding the principles of hypnotic relaxation therapy; 2) evidence base for effectively treating anxiety, hot flashes, and sleep disturbances, and 3) consider research informed clinical hypnosis approaches. 1. List the 10 principles of hypnotic relaxation therapy. 2. Identify research informed practice to hypnotherapy. 5. Describe a hypnotic relaxation treatment protocol and session by session goals. 6. Cite research evidence for hypnosis to improve sleep quality. 7. Demonstrate hypnotic induction to reduce stress and for deeper sleep. 8. Explain how hypnosis can be used to improve sleep quality and reduce anxiety. 9. Describe the clinical assessment of hypnotizability. 10. Demonstrate administration of the Elkins Hypnotizability Scale in clinical practice. 11. Identify two hypnotherapy techniques for pain management. 12. Demonstrate a hypnotic induction for pain management. Leading our workshops will be experts and leaders in the field who are exceptional presenters. Dr. Moss has a new book released in July 2018 with co-author Angele McGrady on Integrative Pathways: Navigating Chronic Illness with a Mind-Body-Spirit Approach (Springer). He also has a book in preparation with co-editor Inna Khazan on Mindfulness, Compassion, and Biofeedback Practice (AAPB) and a book in preparation with co-editor Fredric Shaffer on Physiological Recording Technology and Applications in Biofeedback and Neurofeedback (AAPB). Moss is co-editor of Foundations of Heart Rate Variability Biofeedback (AAPB, 2016), co-author of Pathways to Illness, Pathways to Health (Springer, 2013), and chief editor of Handbook of Mind-Body Medicine for Primary Care (Sage, 2003) and Humanistic and Transpersonal Psychology (Greenwood, 1998). 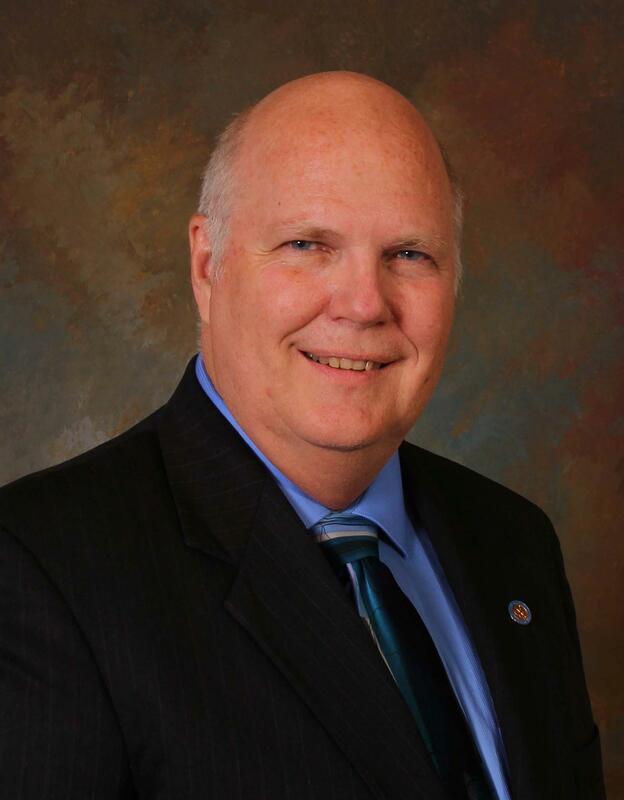 Eric K. Willmarth, PhD is the founder and president of Michigan Behavioral Consultants, P.C. He received his Ph.D. in clinical psychology from the Fielding Graduate University after receiving his Master's Degree from Eastern Michigan University and a Bachelor's Degree from Grand Valley State University. Ian Wickramasekera, PsyD has a lifelong fascination with topics such as Affective Neuroscience, Biofeedback, Bon-Buddhism, Empathy, Hypnosis, Lucid Dreaming, Mind/Body Medicine, and Transpersonal Psychology. His research into these areas has won him a number of awards such as the Clark L. Hull Award for Scientific Excellence in Hypnosis and the Milton H. Erickson Award for Scientific Excellence in Clinical Hypnosis from the American Society of Clinical Hypnosis. 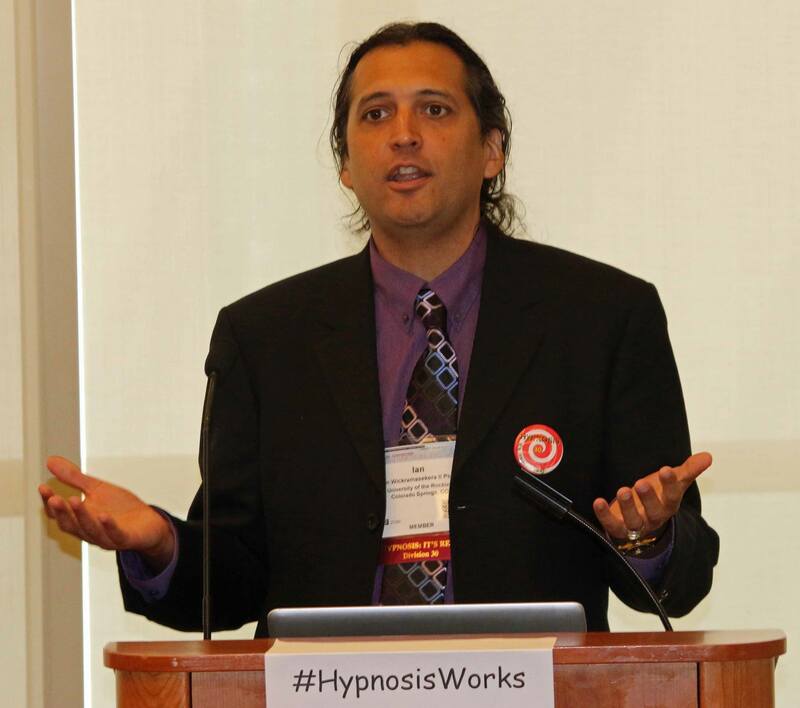 Dr. Ian also won the Distinguished Early Career Contributions to Hypnosis award from the American Psychological Association as well as from the American Society of Clinical Hypnosis. He is a Science Editor for the American Journal Of Clinical Hypnosis and a Fellow of the Society for Clinical and Experimental Hypnosis (SCEH) and the Society of Psychological Hypnosis (Division 30) of the American Psychological Association. Gary R. Elkins, PhD, ABPP, ABPH is a Professor of Psychology and Neuroscience at Baylor University. He is Director of the Mind-Body Medicine Research Program at Baylor University conducting NIH funded research into clinical applications of hypnosis. In addition, he maintains a part-time private practice. His research and clinical work have focused on areas such as the role of the therapeutic relationship in hypnotherapy, hypnotizability, mechanisms, pain, sleep, hot flashes, and stress. Dr. Elkins is the author of five books, Handbook of Medical and Psychological Hypnosis: Foundations, Applications and Professional Issues; Hypnotic Relaxation Therapy: Principles and Applications; Complementary and Alternative Medicine for Psychologists: An Essential Resource; a Relief from Hot Flashes: The Natural, Drug-Free Program to Reduce Hot Flashes, Improve Sleep, and Ease Stress, and Mindful Hypnotherapy: The Basics for Clinical Practice. He is a renowned expert in clinical hypnosis and Immediate Past President of the Society for Clinical and Experimental Hypnosis; Past-President of the Society for Psychological Hypnosis (Division 30 of the American Psychological Association). He is also Past-President of both the American Society of Clinical Hypnosis and the American Board of Psychological Hypnosis. Elkins holds the Diplomate in Clinical Hypnosis from the American Board of Psychological Hypnosis (ABPH) and the Diplomate in Clinical Health Psychology from the American Board of Professional Psychology (ABPP). He has taught courses nationally and internationally on clinical hypnosis. Elkins is the co-author of the publication Standards of Training in Clinical Hypnosis published by ASCH. He is the Editor-in- Chief of the International Journal of Clinical and Experimental Hypnosis. This event is co-sponsored by the Society for Experimental and Clinical Hypnosis and The Institute for Continuing Education. The program offers continuing education credit as listed below. Each workshop offers a total of 12.50 contact hours, with full attendance required. Partial CE credit is not offered. There is no additional fee for continuing education credit. Conference attendees who wish to receive continuing education credit MUST check in at the continuing education desk to make formal application and receive CE materials for completion. Course Completion: To qualify to receive continuing education credit, attendees must complete the CE materials, sign in/out daily at designated locations, and complete an evaluation of the sessions attended. CE verification is mailed to attendees within 30-days following the receipt of completed CE materials. Questions: If you have questions regarding continuing education, the program, faculty, grievance issues, or for a listing of learning objectives, comprehensive speaker bios, please contact The Institute at: 800-557-1950; e-mail: [email protected]. Counseling: For counselors seeking CE credit, The Institute for Continuing Education will submit a co-sponsorship application to NBCC for this program. New York: The Institute for Continuing Education is recognized by the New York State Education Department's State Board for Mental Health Practitioners as an approved provider of continuing education for licensed mental health counselors. Provider MHC-0016. Ohio: The Institute for Continuing Education is recognized as a provider of continuing education by the Ohio Counselor, Social Worker Board, Provider RCS 030001. Florida: The Institute for Continuing Education is recognized as a provider of continuing education by the Florida Dept. Health, Division of Counseling, Social Work, MFT, Provider BAP 255, expiration 03/2020. Social Work: The Institute for Continuing Education, provider #1007, is approved as a provider for social work continuing education by the Association of Social Work Boards ( ASWB ), www.aswb.org, through the Approved Continuing Education ( ACE ) program. The Institute for Continuing Education maintains responsibility for the program. ASWB Approval Period: 4-13-2018 - 4-13-2021. Social workers should contact their regulatory board to determine course approval. New York: The Institute for Continuing Education is recognized by the New York State Education Department's State Board for Social Work as an approved provider of continuing education for licensed social workers. Provider No. SW-0025. Ohio: Counseling and Social Work Board, Provider RCS 030001. Florida Dept. Health, Division Social Work, MFT, Counseling, Provider BAP 255, expiration 03/2020. Marriage/Family Therapy: The Institute for Continuing Education, Provider 56590, is approved by the California Association of Marriage and Family Therapists to sponsor continuing education for LMFTs, LCSWs, LPCCs. The Institute for Continuing Education maintains responsibility for this program and its content. This Course meets the qualifications for 12.5 hours of continuing education credit for LMFTs, LCSWs, LPCCs, as required by the California Board of Behavioral Sciences. New York MFT: The Institute for Continuing Education is recognized by the New York State Education Department's State Board for Mental Health Practitioners as an approved provider of continuing education for Licensed Marriage and Family Therapists. Provider MFT-0012. Texas: The Institute for Continuing Education is recognized as a provider of continuing education by the Texas State Board of Examiners of Marriage and Family Therapy, Provider 177. Skill Level: Workshops are noted for skill level ( Basic, Intermediate, Advanced). Instruction Methodology: May include lecture, audio-visual, demonstration, experiential practice of techniques, large and small group discussion. ADA: For accommodations on the basis of disability please contact [email protected]. Members of SCEH and APA Division 30, please use member pricing. Membership status will be verified. * Special Join Now incentive -- includes annual membership in both societies (subject to meeting member requirements of each group) – a $55 value. Important Notes: Student must submit separate SCEH membership application before registering for the Workshops. ** Deadline for early bird pricing: March 22, 2018. Advance registration is required. Cancellations received on or before March 22, 2018 at 5:00 PM EST USA will be issued a refund, minus a $75 processing fee. Sorry, no refunds will be made after March 22, 2018. Exceptions will only be granted due to death of participant or immediate family member, severe illness/injury of participant or immediate family member, or the inability of participant to travel due to legal or governmental restrictions/obligations, and will require written notification and appropriate documentation. Registration fees are not transferable to another workshop. If you require special accommodations to attend, please contact the SCEH office at [email protected]. Login is required. If you do not yet have an account on our website, you will need to create one. When completing your registration, you will have the option to pay online with a credit card or mail us a check. Registration is confirmed when payment is received. If you wish to join the Society, please complete a membership application BEFORE you register. Your application will be reviewed, and once accepted, you will be able to register as a member for our events. For our attendees, we have secured a limited number of rooms at a special discounted rate of $119 at the Holiday Inn Hotel & Suites Denver Tech Center-Centennial in Centennial, Colorado (just outside Denver). Rooms are for Standard King or Double Queen Guestrooms for April 25 and 26. Please help SCEH by making your room reservations directly with the hotel. Please DO NOT use third party services. This will help ensure that all our attendee rooms are properly credited to the discounted room block we have arranged for workshop participants.Thank you. Deadline: April 5, 2019 or until our room block sells out, whichever is earlier. After that date rooms will be available on a space available basis. calling Central Reservations at 800-HOLIDAY. booking online using this link. Our discounted rate will be in effect two days before and after our event. Any reservation requiring dates outside of April 25 and 26, 2019, or needing any room type other than a standard king or double queen guestroom, should be made by contacting Tony Sprouse, Director of Sales, at 303.708.3010 or by email at [email protected]. Thank you for reserving directly with the hotel in this manner so that all our attendee rooms are properly credited to the discounted room block we have arranged for workshop participants. Our hotel is the Denver Tech Center's newest full-service hotel, having opened in March 2017. The hotel features 99 contemporary and comfortable guestrooms and suites, flexible meeting/event space, state-of-the-art fitness center, indoor swimming pool & whirlpool and more. Burger Theory, their onsite restaurant & bar, serves breakfast, lunch, dinner and room service daily and features 4,320 burger possibilities and 25+ Colorado craft beers. The hotel is located within walking distance of Starbucks, Natural Grocers, Nonna’s Italian Bistro, Maggie Smith’s Irish Pub, Chipotle, Noodles & Company, Einstein Bagels, Subway, Pieology Pizza and more. The restaurant serves breakfast 6 - 10 AM daily plus lunch and dinner 11 AM - 10 PM daily. Room service available. Bar open 2 - 10 PM daily with “Hoppy” Hour 2 - 6 PM. Urban sophistication meets outdoor adventure in Denver. Get acquainted with The Mile High City, including history, transportation and neighborhood guides. Plan your visit and learn more about the Denver area at https://www.denver.org/about-denver. As its mission, SCEH exists to promote excellence and progress in scientifically based hypnosis research, education, and clinical practice. The Society’s goal is to grow understanding and clinical applications of hypnosis now and in the future. SCEH boasts a rich history in hypnosis training and research, and each year presents its Annual Workshops and Scientific Session, now entering its 69th year. As the voice of professional hypnosis, SCEH provides benefits that include: education, the International Journal of Clinical Hypnosis, a mentor program and the ability to network with leaders in the hypnosis community. APA Division 30 is devoted to exchanging scientific information, advancing appropriate teaching and research, and developing high standards for the practice of hypnosis. Areas of interest of the membership are diverse, including topics such as mind/body connections; dissociation; hypnosis . medicine, professional and public education.